“It Seemed Anything Was Possible” - 35th Anniversary of Solidarity Action. Video screening, Panel Discussion. 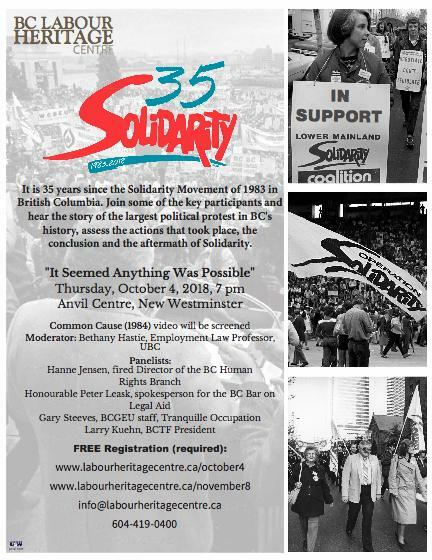 Presented by the BC Labour Heritage Centre Registration required.